We have got exceptional people with amazing talents in Nigeria. 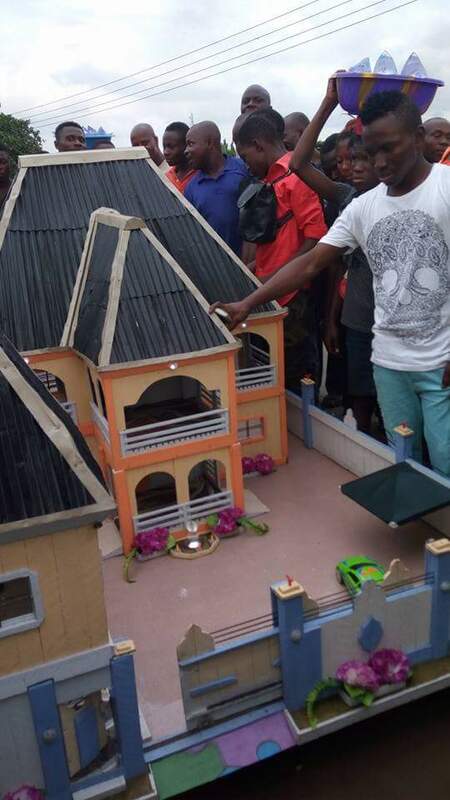 This magnificent house is an artwork by a fellow Nigerian. I don't know much about the artiste in question, as all means to contact the person who uploaded the photo, has yielded no outcome. 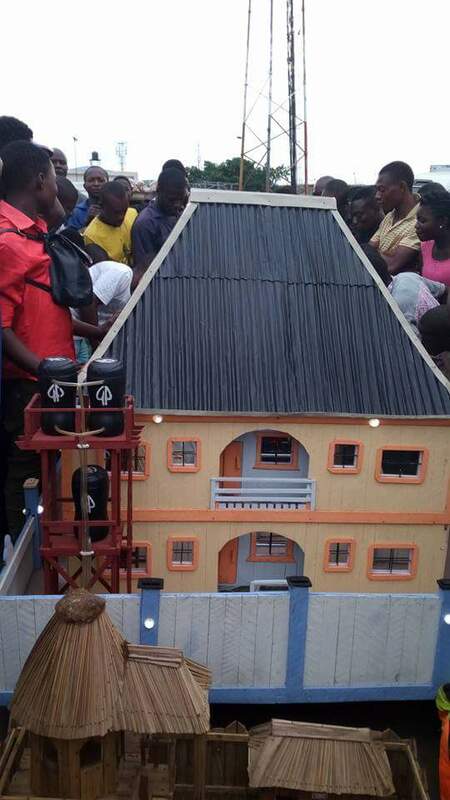 I don't know if the artiste has an architectural background or he's a rare one like Olajumoke, that God has blessed with such talents. I hope someone not just the government in particular, but other people - individual(s) or companies - recognize his talent and help him to nurture it into something bigger. He would do very well as an artiste or an architect, if he gets the right connections. Singing and dancing aren't the only talents we have in Nigeria. 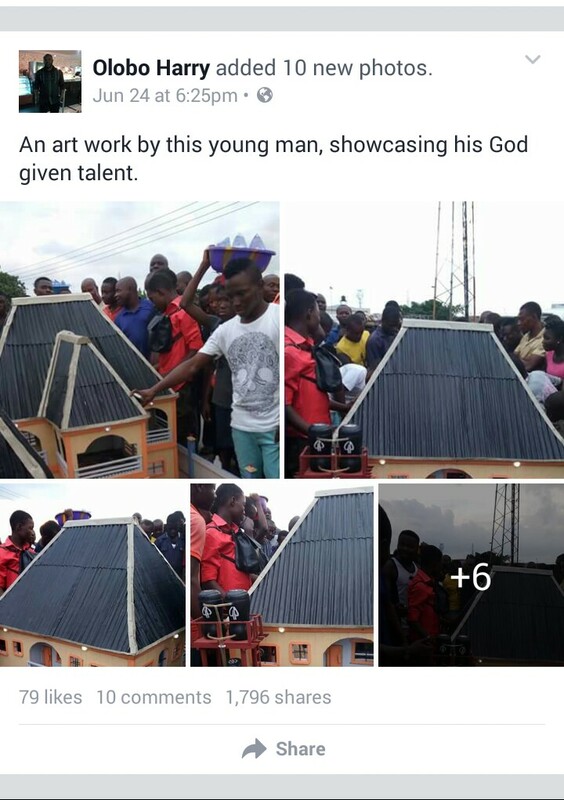 There should be more talent shows that showcase people with such talents like this young man. Blog readers, let's share this man's talent with the world, until somebody out there helps his career. Thanks a bunch guys. Eid-El Fitri to the Muslim brothers and sisters.